The band Age of Artemis is pleased to announce the cover, repertoire and concept of the new album “Monomyth”. The work will be released in Brazil on April 2, 2019 and was produced by bassist Giovanni Sena. The band is currently formed by Pedro Campos (vocals), Giovanni Sena (bass), Jeff Castro (guitar), Gabriel Soto (guitar) and Riccardo Linassi (drums). The cover was designed by the renowned artist João Duarte. “Monomyth is the job that best represents us. We are very happy with the result and I believe we will surprise a lot of people with the new songs, “said Giovanni Sena. The album “Monomyth” had the guitars, drums, percussion and vocals recorded at the “G2D Musical Productions” in Brasilia, DF, Brazil, between May and July 2018 with the sound engineers Deniel Moraes and Gregoree Jr. basses, electric guitars and keyboards were recorded at the “GT & L Studio” in Brasilia, DF under the supervision of Giovanni Sena. The mix and mastering was performed by Damien Rainaud in “Mix Unlimited” in Los Angeles, CA – USA, between August and September of 2018. 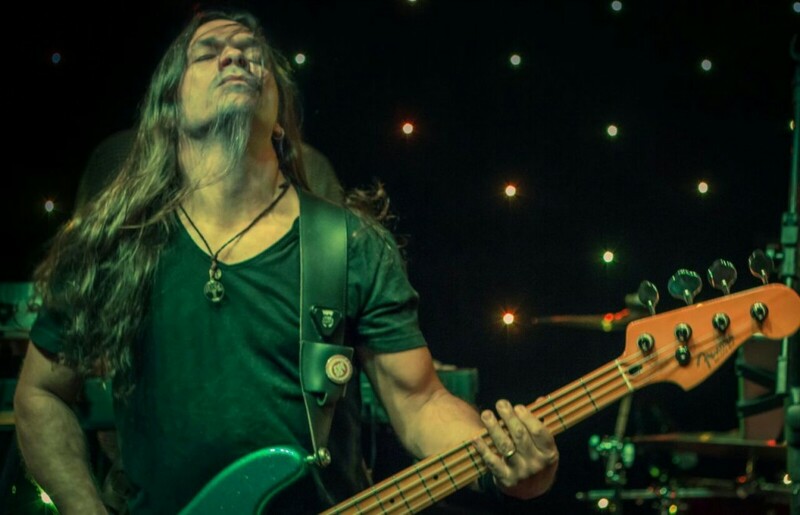 The bassist of Age of Artemis, Giovanni Sena, was chosen by bassist David Ellefson (Megadeth) one of the five best in the world according to a contest orchestrated by Guitar World magazine. Giovanni played the initial riff of the song “Fatal Illusion”, the album Dystopia, Megadeth, and left David Ellefson impressed. In Guitar World magazine’s list, the musician appears first. The Age of Artemis now also in the game “Guitar Flash”. The first song chosen was “Echoes Within” from the album Overcoming Limits (2011). Guitar Flash is a simulation game where the player’s objective is to play the guitar music being played. To do this just hit the notes that appear on the track. The game is available for desktop and mobile platforms. The game is exactly the same, but each site has its own user base.